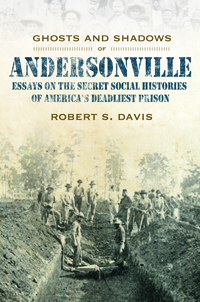 The name Andersonville, from the American Civil War to the present, has come to be synonimous with “American death camp.” Its horrors have been portrayed in its histories, art, television, and movies. The trial of its most famous figure, Captain Henry Wirz, still raises questions about American justice. This work unlocks the secret history of America's deadliest prison camp in ways that will spur debate for many years to come. However, more than a story of a notorious place of death, this work sets out to uncover unknown aspects of life among Americans immediately before and during the Civil War. Persons who found themselves connected with this prison tell the story of a new country in a period of rapid change. They include, among others, the mysterious figure known as Limber Jim, mercenary D. W. Vowles, sea captain Herbert Hunt, lawyer O. S. Baker, and even general William Tecumseh Sherman. This work uncovers the lost history of the prison itself, the least understood element of this massive human tragedy in Civil War Georgia. While a work of deep introspection and high adventure, it also corrects myths, misunderstandings, and major mistakes that have appeared in print and popular history.